The perfect gift for smartly-dressed Simpson maniacs! D'oh! 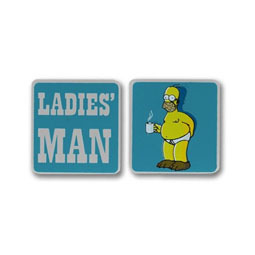 If you know someone who's always messing it up, these Simpsons cufflinks will make the perfect present for them. Then, whenever something goes wrong in the office, they can just look at their cuffs and console themselves with the fact that no matter what happens, they'll never be as destructively daft as Homer Simpson. 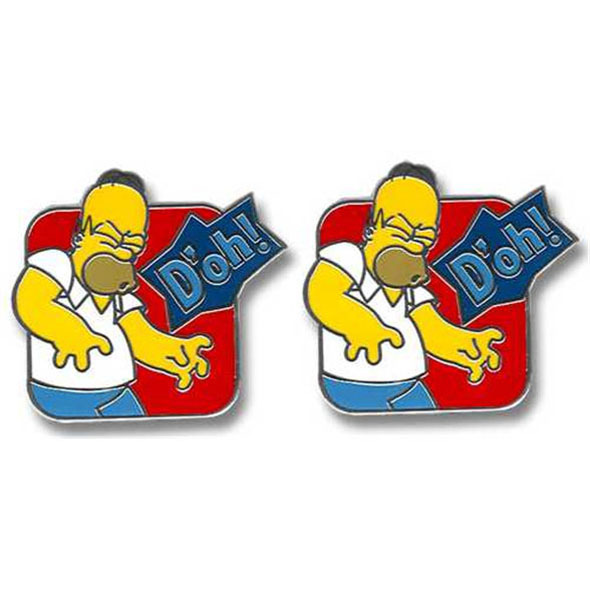 No sharp-dressing Simpsons fan should be without a pair of these Simpsons cufflinks. This brightly-coloured pair makes a great gift for your bungling buddy or any other loveable oafs you know.